Milkshake lovers pay attention because this review is going to be up your alley. Shaken Udder have listened to their fans who were wanting bigger versions of their favourite milkshakes and have given us new Shaken Udder Uber Udder Milkshakes in Vanillalicious! and Chocolush!. Shaken Udder now comes in 3 varieties – 330ml bottles, kiddy varieties and 1 litre cartons, enough to quench anyones need for milkshakes. Each carton costs between £2.20 -£2.70 which is pretty middle of the row when it comes to more upmarket drinks and are made from British Milk, are gluten free and suitable for vegetarians. Now we have that covered lets get onto tasting. Our sumptuously smooth Chocolush milkshake made with real Belgian chocolate, is your moment of bliss anytime of the day. 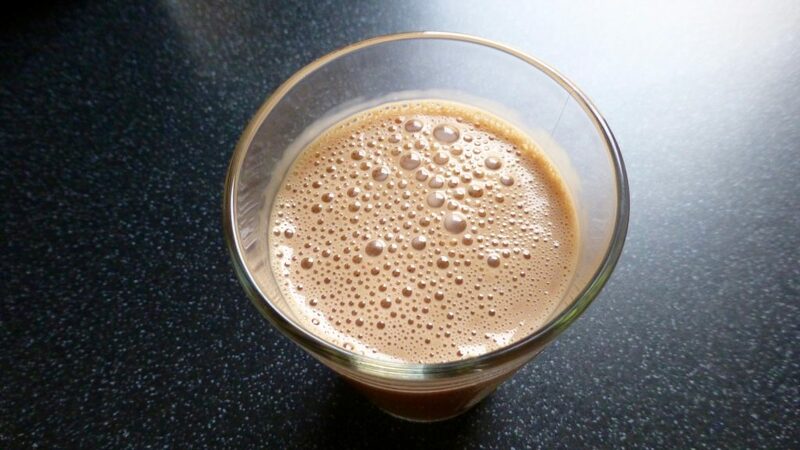 This was like frothy hot chocolate, look at those bubbles. The smell alone set me up for a chocolate indulgence and taste wise it certainly lived up to my hopes and expectations. 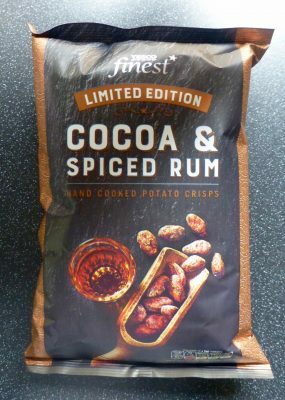 The flavour was akin to decent chocolate ice cream, it was pretty rich and would certainly please any chocoholic. I would however have liked a thicker consistency shake, to me it seemed a little runny and didn’t do the chocolate justice. 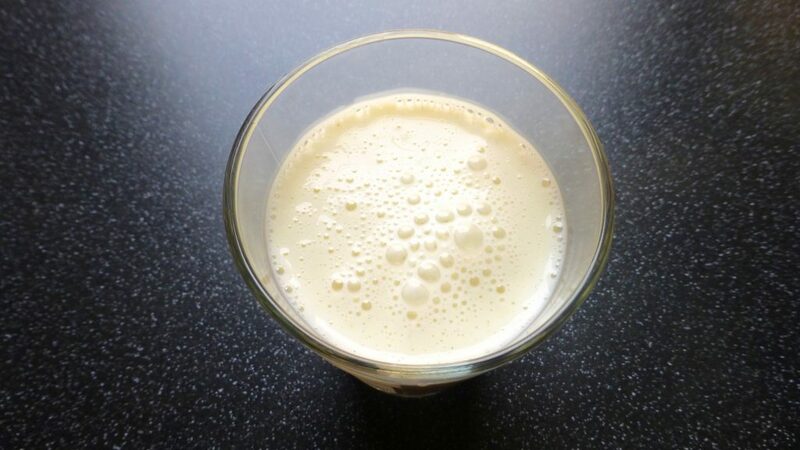 Our divinely smooth Vanillalicious milkshake is made with real vanilla beans and is utterly delectable in every way. Get your vanilla fix in a flash! Now this is the chap I would have chosen out the two. The vanilla seeds were visible and in abundance and that is always a good sign when it comes to authentic flavour. Giving this a sip the taste of vanilla was delicious, it really reminded me of melted Vanilla Carte Dor. Indulgent yet slightly sickly sweet after a while, this milkshake seemed thicker here than the Chocolush! which was a bonus. A winner here with me! Shaken Udder Uber Udder you have indeed given us delicious dairy. I am surprised I liked the Chocolush! as much as I did but I would still choose the Vanillalicious! given the chance. 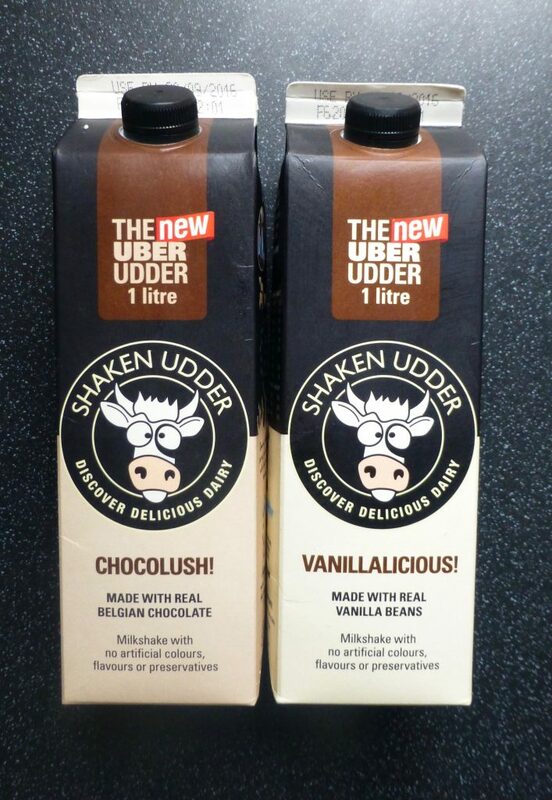 If you fancy giving Shaken Udder Uber Udder a try then these are readily available in Waitrose, East of England Co-Op stores and independent retailers. *A big thank you to Shaken Udder for sending me these to try!